Do you think the new SIEGE SKYFIRE (JETFIRE) is a "pilot" for an MP version -- or is it as good as it gets, like UW04 Devastator? I think he looks awesome! 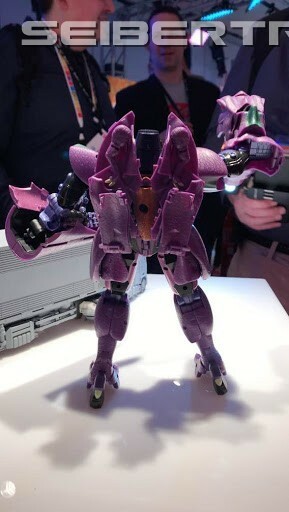 Wish the feet were all back, but otherwise..
Cyberpath wrote: Do you think the new SIEGE SKYFIRE (JETFIRE) is a "pilot" for an MP version -- or is it as good as it gets, like UW04 Devastator? You forget the 3rd party offerings that put both of those to shame. Jetfire looks as good as I need him to (which is quite good) for only $80 and really not much worse than 3rd party version, just a little shorter. 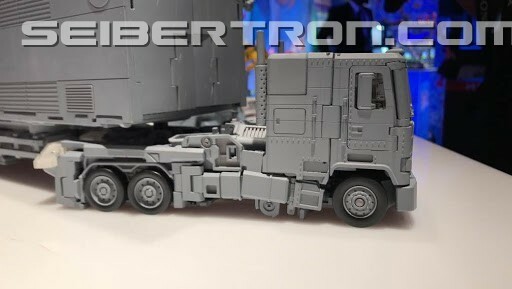 I'm not entirely convinced yet that he's the right size for MP, though he is about the same size as Star Saber so he might be OK.
UW Devastator was originally designed as a proposed MP and he fits in quite well, as do the individual Constructicons. the UW version in particular, in my opinion, looks better than any 3rd party version, especially for cartoon accuracy like modern MPs. Ironhidensh wrote: You forget the 3rd party offerings that put both of those to shame. With regards to 3P, I'm not in any rush to complete the cast in MP form, happy enough with the average release rate and the figures I already have. 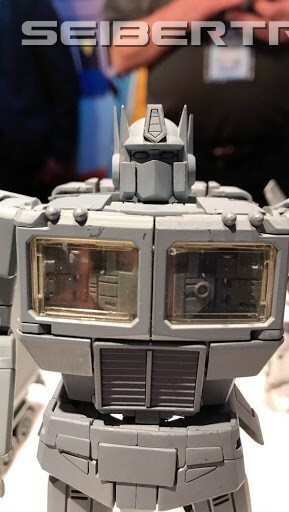 Once more from the showfloor of the New York Toy Fair 2019, we have new photos of several upcoming Masterpiece figures, courtesy of our wonderful Seibertron and Megatronus! 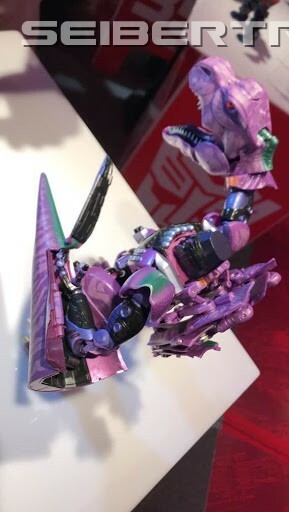 First, we have MP-43 Beast Wars Megatron, showcasing only his robot mode, though there is still plenty to show and plenty of images to show it! 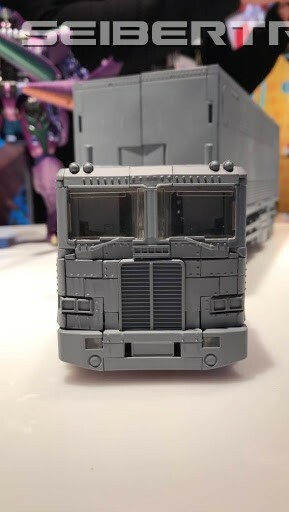 Next, we have an unpainted sample of the most hotly debated MP in recent memory, MP-44 Optimus Prime 3.0, showcasing its robot and vehicle mode from most any conceivable angle! 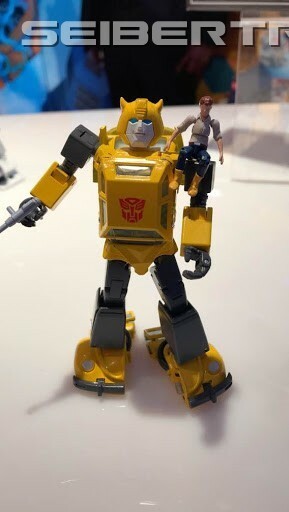 Following that we have the recently revealed MP-45 Bumblebee 2.0, showcasing both its robot mode and the small Witwicky that comes packaged with it. 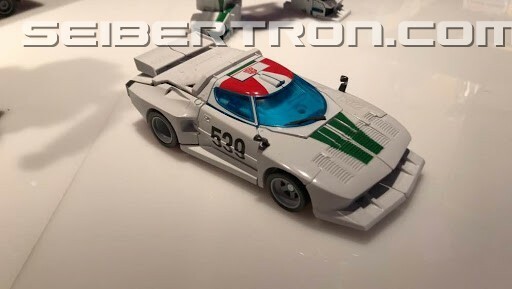 Moving quickly onward is MP-20+ Wheeljack, displaying both modes, though without accessories. 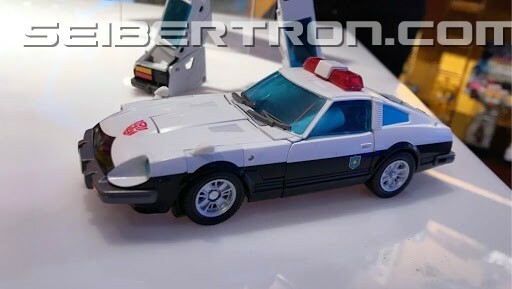 Finally, we have MP-14+ Prowl, who likewise is shown in both vehicle and robot mode without any accessories. 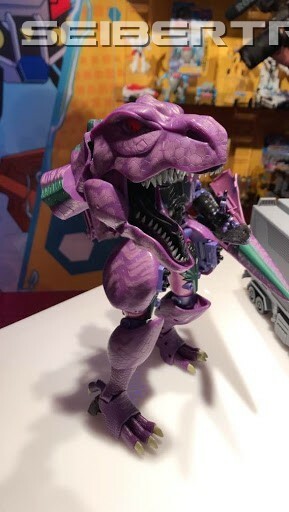 Toy Fair 2019 will continue on throughout the weekend, so be sure to stay tuned to Seibertron.com for more news straight from the showfloor! 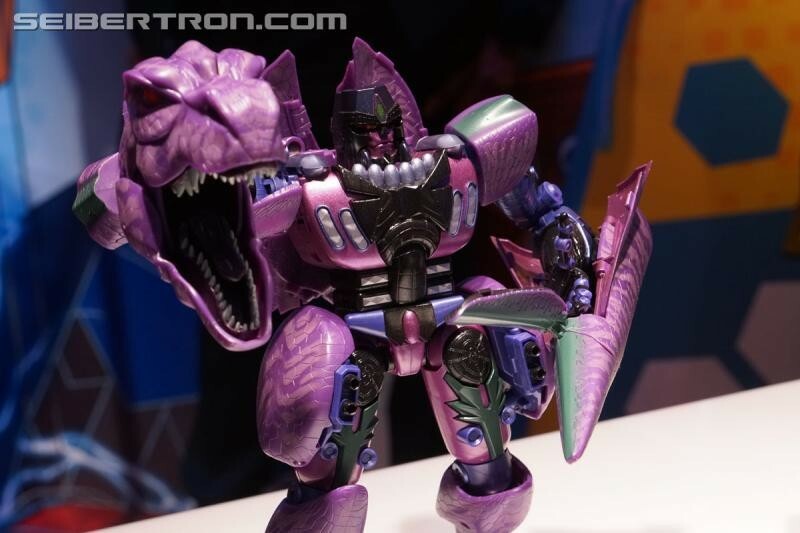 Am I the only one stunned by the size of MP Beast Wars Megatron? WHoa! 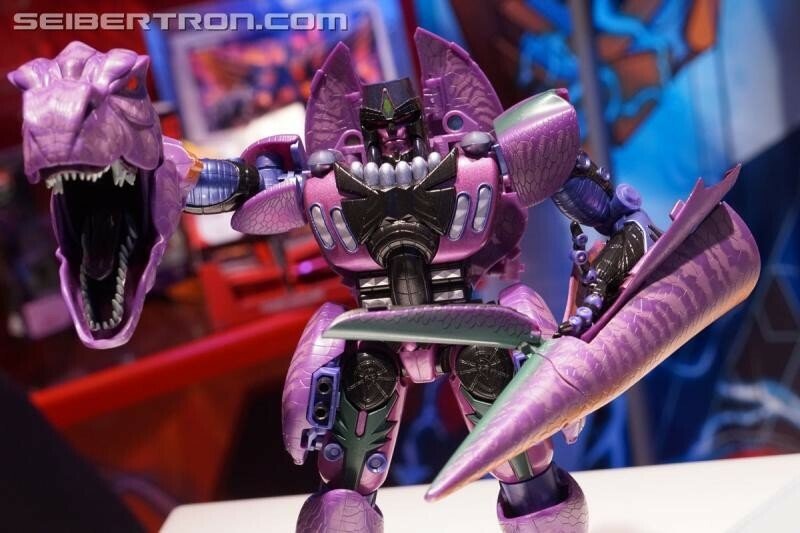 First-Aid wrote: Am I the only one stunned by the size of MP Beast Wars Megatron? WHoa! I was speculating in the MP-43 thread that he’d be taller than MP-36, but it’s still a behemoth to behold beside MP-44. 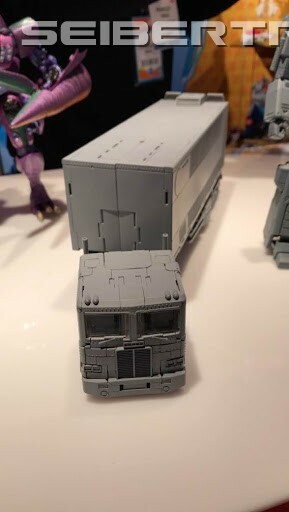 Since we know MP-44 will be similar to 36 height-wise, we can see that 43 over here will be a head of two taller than both. I don’t have MP Magnus though, but I assume 43 is still going to be smaller than him? 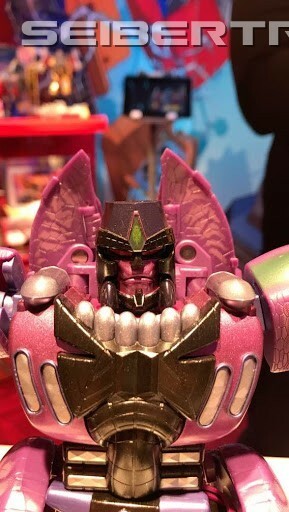 With New York Toy Fair 2019’s first day winding down, we now have for your viewing pleasure a gallery of the various Masterpiece figures on display on the showroom floor, including MP-43 Beast Wars Megatron, MP-44 Optimus Prime 3.0, MP-45 Bumblebee 2.0, MP-14+ Prowl and MP-20+ Wheeljack! All photos come courtesy of our very own Seibertron and Megatronus. Take a look here, and be sure to let us know what you think in the forums below! We also have a video straight from the official Seibertron YouTube channel, showcases all the above-mentioned MP’s. Be sure to take a look, for you may catch something we didn’t in the galleries! 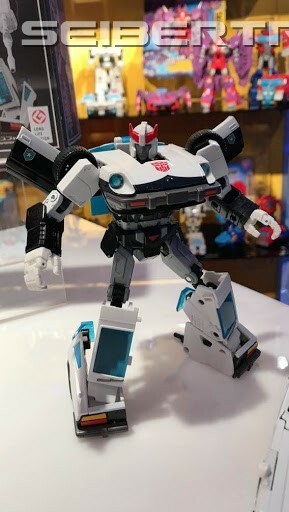 In addition, we also have a gallery of additional Official Masterpiece images, mostly featuring MP-18+ Bluestreak, though it does include a few additional images of the aforementioned MP-45 Bumblebee 2.0 and a sneak cameo of MP-44 Optimus Prime 3.0. 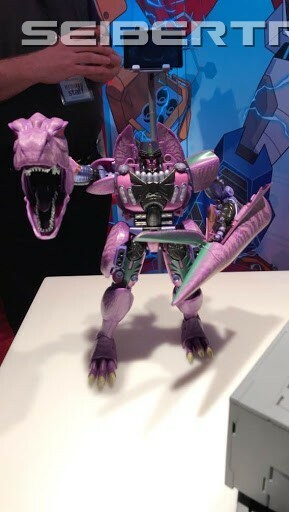 Toy Fair will continue on throughout the weekend, so be sure to stay tuned to Seibertron.com for any and all Toy Fair 2019 news and images! Is it just me or is it kind of odd that MP-45 has a colored proto while MP-44 does not? 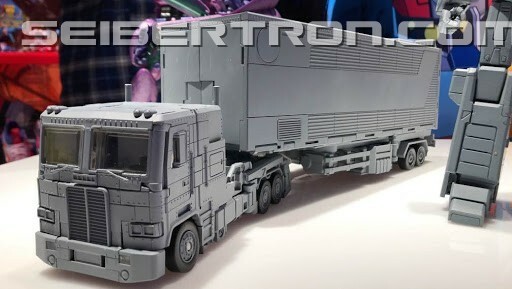 Beast Megatron just needs to get here already. He is gonna be one heavy mambajamba though and really bulky! 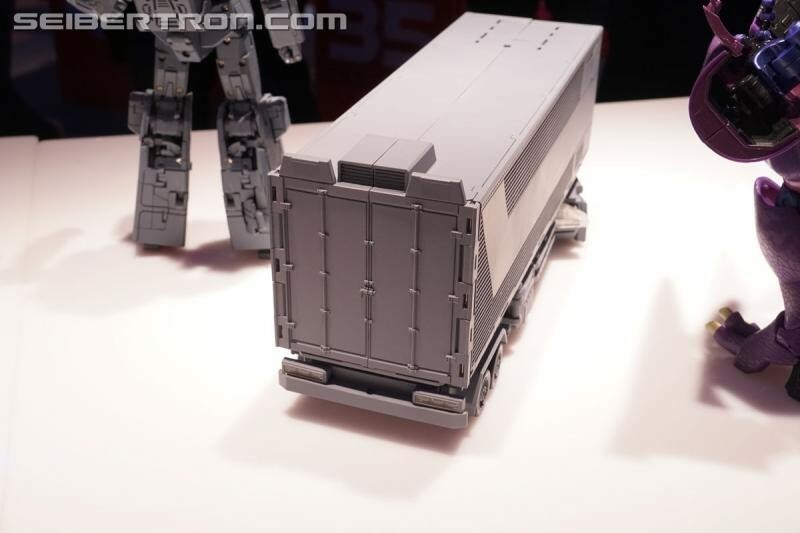 Via tformers.com, BBTS has a pre-order for MP Star Saber due in April. They say it's a reissue but I only see BBTS with an order page for it. And April seems rather soon. Could it just be BBTS acquired extra stock? If it's a reissue, I would expect the Japanese retailers to carry it (for cheaper).... Anytime with insight? 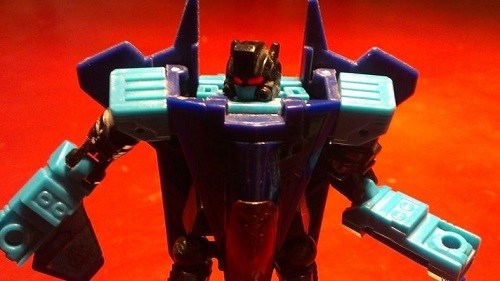 nycPrime wrote: Via tformers.com, BBTS has a pre-order for MP Star Saber due in April. They say it's a reissue but I only see BBTS with an order page for it. And April seems rather soon. Could it just be BBTS acquired extra stock? If it's a reissue, I would expect the Japanese retailers to carry it (for cheaper).... Anytime with insight? Cool thanks. That makes sense. That's a shame though. I was excited when I saw reissue and thought I could snag it for cheap through a Japanese store. The wait continues for me. nycPrime wrote: Cool thanks. That makes sense. That's a shame though. I was excited when I saw reissue and thought I could snag it for cheap through a Japanese store. The wait continues for me. So I wanted to bring this thought to the table and get some other opinions on my mind process. 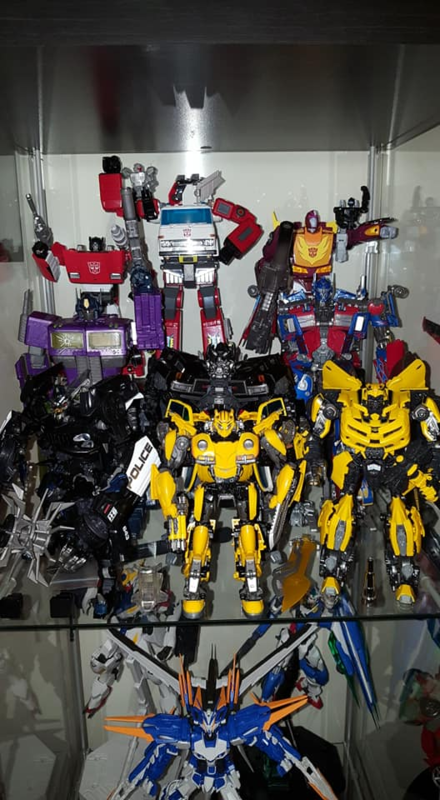 So I brought both of my newer MPM Bumblebees to work today and posed them together having fun, and it made me think about MP-45 and where it stands. 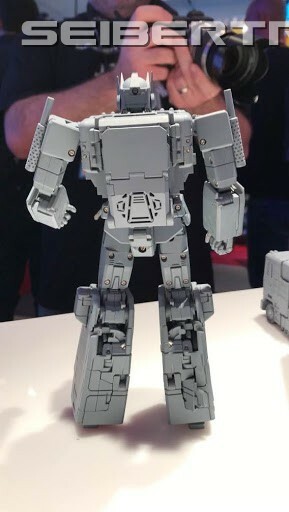 So we have MPM-3, which is about the size of or a bit larger than a standard G1 MP carformer. 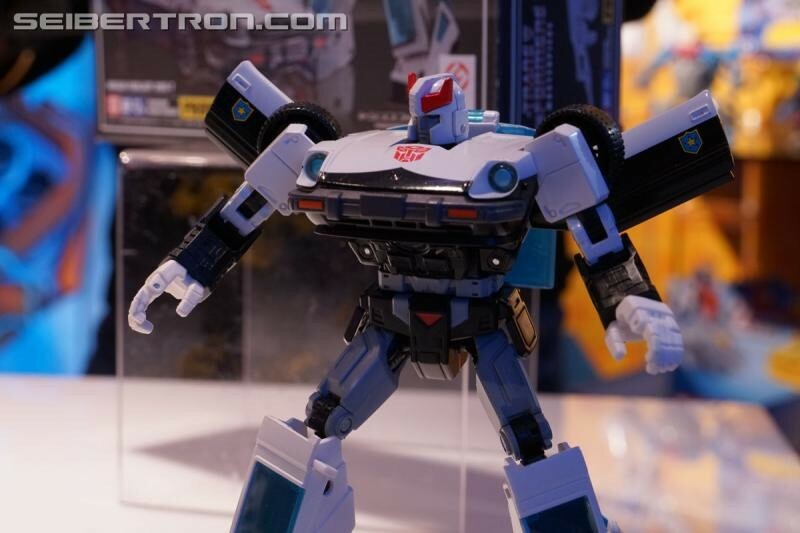 Then we have MPM-7, a bit shorter than MPM-3 and just ever so slightly smaller than a G1 MP. MPM-3 retailed online for $100, MPM-7 at $90, with MP-45 at $120. 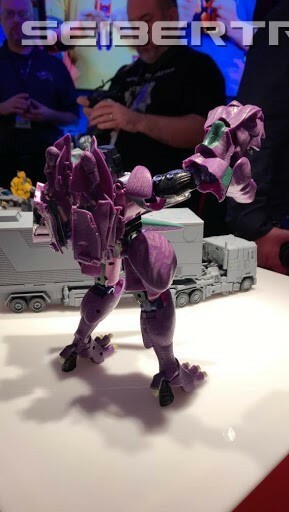 MPM-3 has a very complex but manageable transformation that ends up representing his very complex movie self perfectly, all the way down to his wings and his back details, back, legs, and all. He only comes with his arm cannon accessory, but he doesn't really need more, his alternate face is a built in facemask. MPM-7 is equally as complex but the bot mode isn't as accurate, though if given the time, the door wings could have been engineered to lie like they did in the movie and the wheels adjust accordingly. And his movie design was much smoother, so even if the door wings are outright removed, he's still a nearly perfect representation of himself on screen, back and all. He comes with his 2 weapons and an optional facemask, not built in, but probably better for it. And then we come to MP-45. The front looks like he did on TV, every detail pretty much there. But it's all fake, only his toes are actually real. And the back of the legs aren't right, and neither is his back, with a new fake rear wheel thingy coming up from behind. He comes with some faces and guys and stuff too, so more accessories, but were they necessary? So the way I see it, the MPM-3 is by far the superior all around MP figure. MPM-7 could have done much better given the benefit of another year before release, and MP-45 really needed more time. It's so hard to look at him considering they nearly killed that figure once already, and then they basically took several steps back. And that price, he is $20 more than the Bee that is twice his size and handles a far more complex look significantly better. 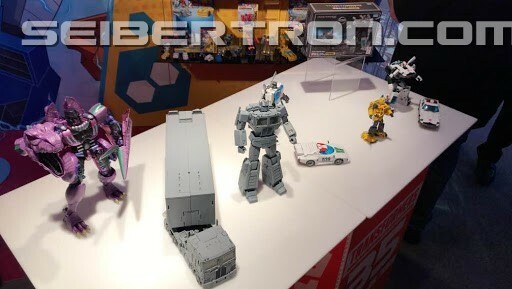 And we see that again with the upcoming MPM-9 Jazz: he transformers from flawless car to flawless robot, back of the robot and all. 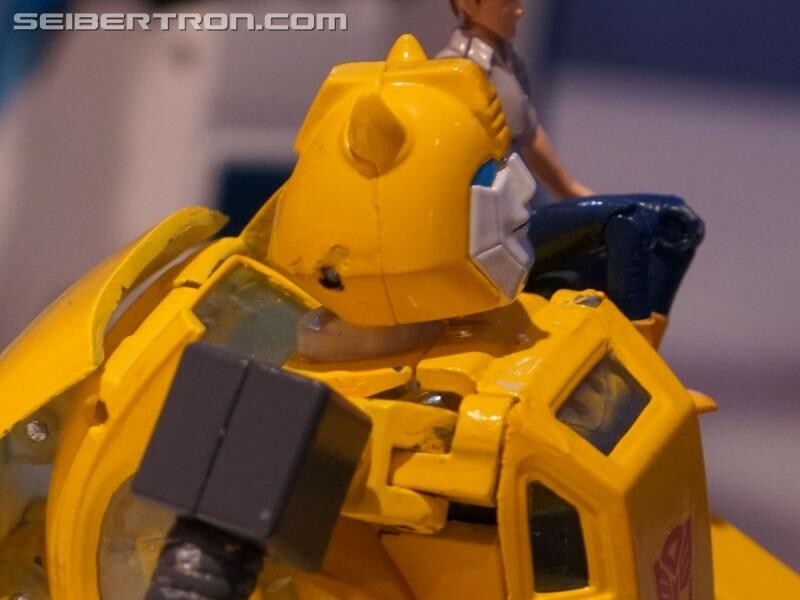 They look good/accurate from every angle, and the G1 guys aren't doing that anymore. 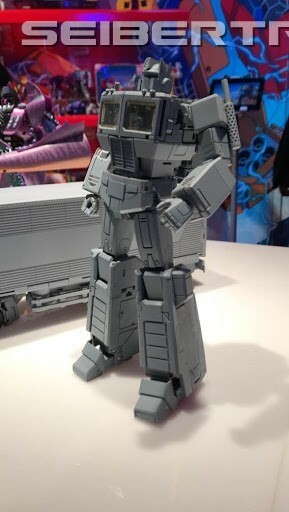 Heck, the G1 guys are hugely expensive and only good looking primarily from the front, while the MPMs are cheaper and good from just about every angle, and even though MPM-8 Megs is about to be $160, he is going to be huge and heavy and complex, and he's still $70 less than MP-36. And of course we have the Beast guys, who are pricey like the G1 guys but actually screen accurate like the MPMs, so a sort of compromise of the 2. I just think that if the QC could be buttoned up, the MPMs are the better spot to be in right now. And it baffles me that the complex movie designs can be done so much better than the current G1 MP options. Just my thoughts, would like to hear someone else's. I agree that there is some weird stuff going on. 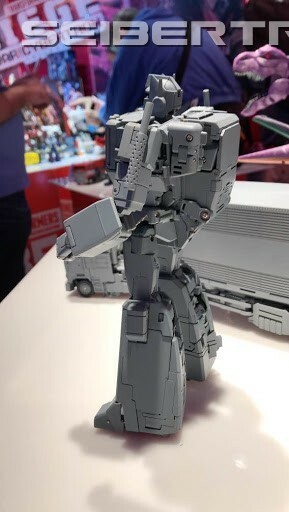 I dont know how conplex mpm 8 will be, he looks really simple to me. 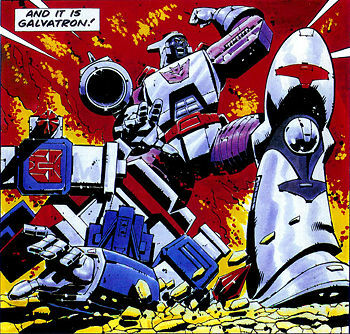 Motto: "Hey Soundwave, eject that Judas Priest tape and let him do some . . . destruction!!!" 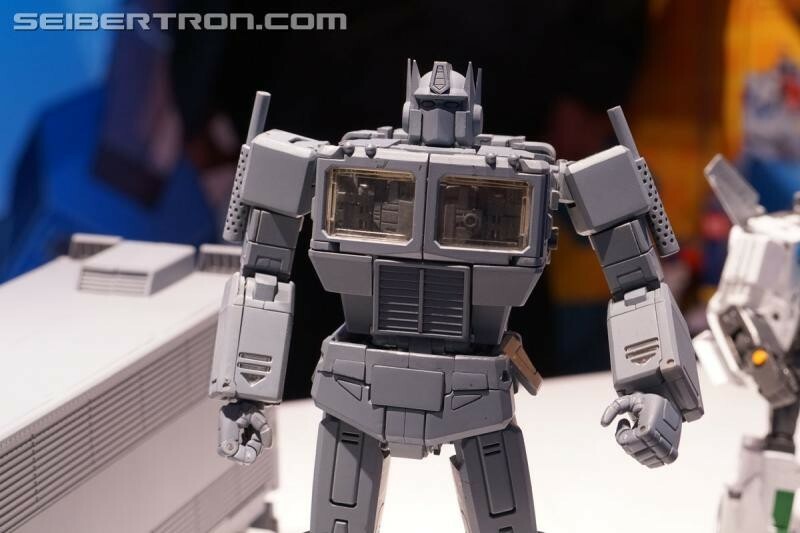 Forgive me if this has already been brought up but I think one of the nicest things they've done with the MP line is continually rerelease the successful one's like MP-13 Soundwave. I couldn't afford him until the third run because I arrived late, it's cool that they did that. That said, I don't really want any other MPs at the moment, even Soundwave though I love him his deck gimmick rarely works exactly right and the MP-02 Hasbro I bought had a bubble in the eye, a gash on the leg, and the fins of the birds were so stiff Laserbeak's just peeled off in my hand, and Buzzsaw has never been touched. My Takaras (13 and all tapes) all are in great shape though, thankfully. 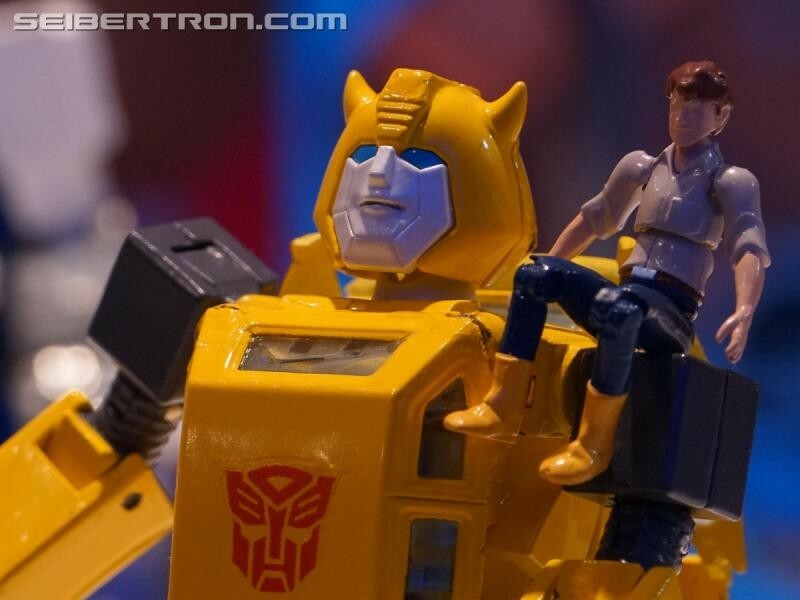 The bad experience with the Hasbro has made me want to focus more on G1 reissues where fewer things can go wrong and prices aren't quite as steep. I almost feel like opening one of these is a gamble, of course it's always worth more unopened but if I could have psychically seen into my Hasbro's box, I'd have left it MIB and resold it and no one would be the wiser. 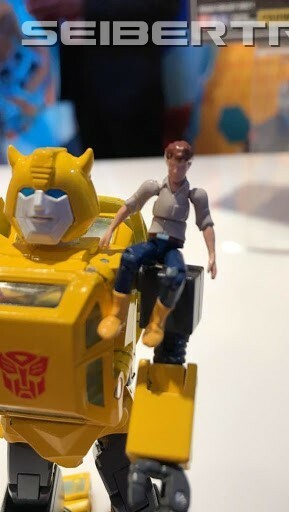 Overall: Love the line, love the attention to the show (even when I was a kid I thought they should look like the show), but am hesitant to buy more as QC seems a bit iffy on what're really complex and fragile products. 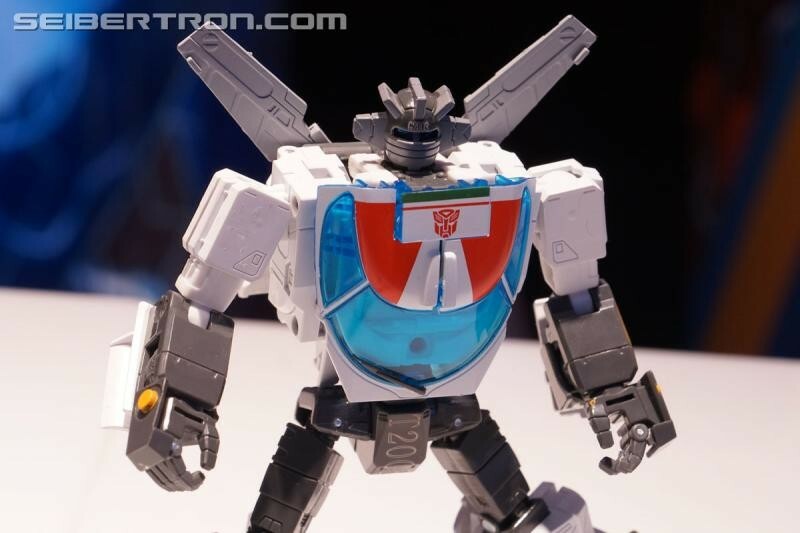 To be fair I'm a Soundwave and G1 Jetfire guy, so I'd probably buy those if they remolded them or something. 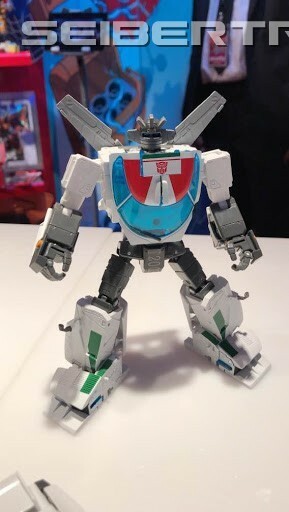 To be honest with the Jetfire they'd have to really impress me, I'm a huge Macross/Robotech fan as well so they'd have to blow me away to look past the fact that I'll always think the original is perfect in its own right. Soundwave and Jetfire collector, G1's and reissues. I did consider MP Star Saber myself, not too long ago. I saw a review on YouTube and liked what I saw. 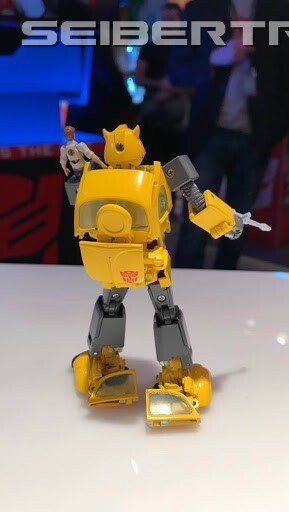 But, being informed by those in the know on the forum that he doesn't have the relevant tabs or connections for a potential MP Victory Leo, my limited G1 MP collection will stand with Hot Rod alone. AllNewSuperRobot wrote: I did consider MP Star Saber myself, not too long ago. I saw a review on YouTube and liked what I saw. 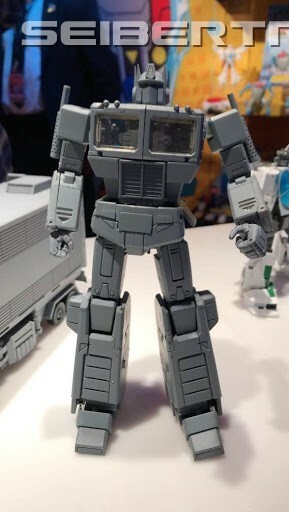 But, being informed by those in the know on the forum that he doesn't have the relevant tabs or connections for a potential MP Victory Leo, my limited G1 MP collection will stand with Hot Rod alone. Didn't KFC( the toy company, not the chicken) make a Victory Leo that is compatible with Star Saber? In any case, Star Saber is one of the best Transformers Masterpiece figures ever made for the size and engineering alone. You will not be disappointed at all with him, and he's on sale at BBTS! That made me laugh far more than it should have. Nathaniel Prime wrote: In any case, Star Saber is one of the best Transformers Masterpiece figures ever made for the size and engineering alone. You will not be disappointed at all with him, and he's on sale at BBTS! Thanks for the heads up. Unfortunately I don't buy from BBTS. I once bought the Piranacon reissue giftset for about $20, a real bargain. Only to end up paying an additional £30 in Customs when it reached the UK.. As such it's not worth my while. 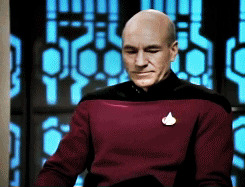 4,412 pages were recently viewed by 894 unique visitors. This page was viewed 1 times on Saturday, April 20th 2019 1:34am CDT. © 2019 Seibertron, Inc. DBA Seibertron.com. All Rights Reserved. Established June 2000. Seibertron.com is owned by Ryan Yzquierdo.